The family of Inspector Subodh Singh who died after being attacked by a mob protesting over alleged cow slaughter in Bulandshahr met with CM Yogi Adityanath’s at his Lucknow residence yesterday. The cop was murdered by a mob amidst the violence that broke out in Bulandshahr in Uttar Pradesh on Monday. The cow-vigilantes had targeted a police station over allegations of police inaction over reports of cow slaughter. Adityanath faced huge criticism as he was seen enjoying a sound and light show on the evening of Bulandshahr riots. 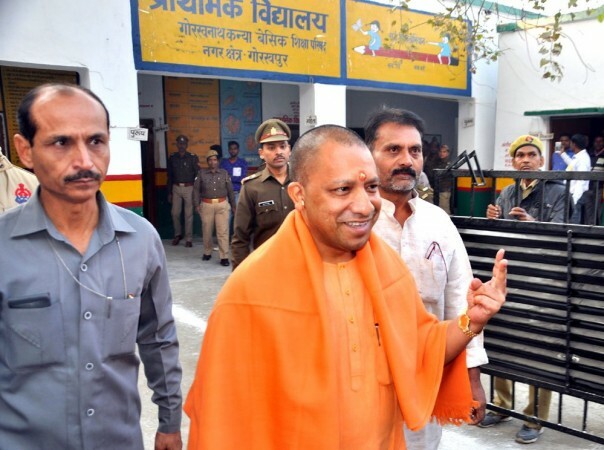 Further, as per an official press release by the UP government, the CM had instructed to investigate the matter of cow slaughtering on priority and there was no mention whatsoever demanding any enquiry in the murder of the cop. He had merely announced Rs. 40 lakh compensation and a government job for the family members of Singh. As Adityanath had been busy campaigning as the star crowd puller for BJP in Rajasthan and Telangana, he instructed the family of Subodh Kumar to visit them at his residence to meet him on Thursday. Images of the meeting were put out by news agency ANI, and Kumar’s son Abhishek said that the CM has promised that justice will be done in the case. However, a video footage of the meeting has got leaked online and shared by a TOI journalist on Twitter. In the video, where, it can be heard that the wife of Subodh Kumar Singh has questioned the role of a local BJP MLA after the arrest of three people in the cow slaughter case. The tweet was retweeted and liked 1k and 1.3k times respectively. This video followed a massive public outrage calling the Chief Minister insensitive. Allegations are also levelled that they murdered the cow, to create communal tension and schemed and martyred an IPS Officer. Truth is out clear as the day. They murdered the cow, to create communal tension and schemed and martyred an IPS Officer. Why is he sitting so far from the vicitms? Had they been criminals from his gowrakshak gang he would have embraced them. The prime suspect Yogesh Raj is yet to be arrested as well. We await an official confirmation from the authorities on the alleged involvement of the local MLA as claimed by Singh’s bereaved wife.